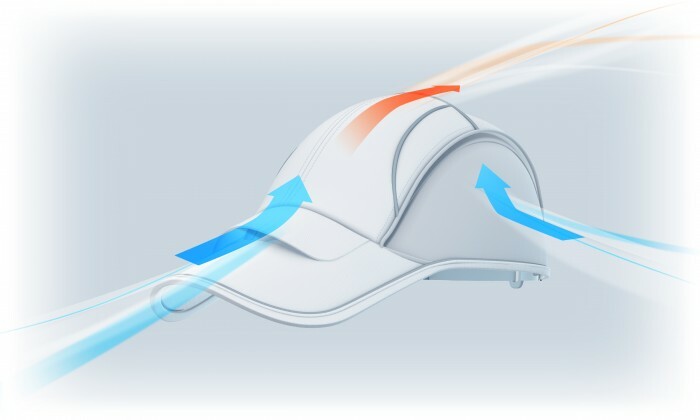 Provided is a baseball cap-type headwear in which a peak is provided in a front lower end of a head circumferential portion and a crown is connected to an upper end of the head circumferential portion, in which a front portion of the head circumferential portion is formed as an inclined surface that widens in an outward direction of the headwear as the inclined surface advances toward a lower end, a void is formed between the peak and the head circumferential portion, and the central portion of one end of the peak is positioned on an inner side of the headwear more than the front lower end of the head circumferential portion, and at least the front portion of the head circumferential portion and the peak are integrally molded from a synthetic resin. We are looking for a license with royalties or an outright sale. 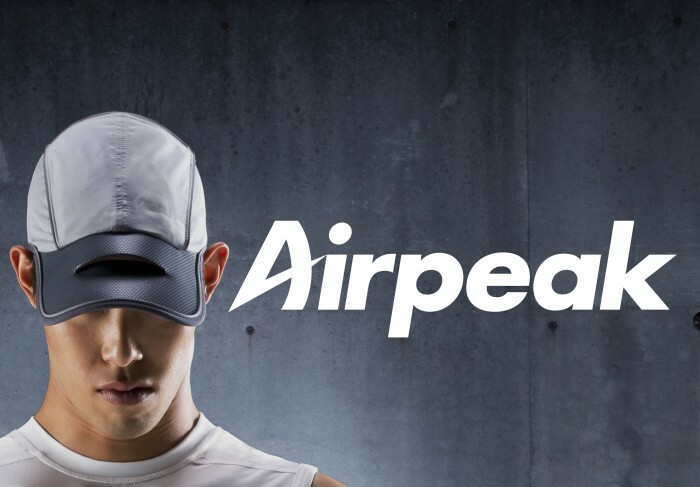 Our product debuted on Japanese Market in 2017. However, we don't have enough money to spread our products to overseas. We have a trademark, design patents and a website. 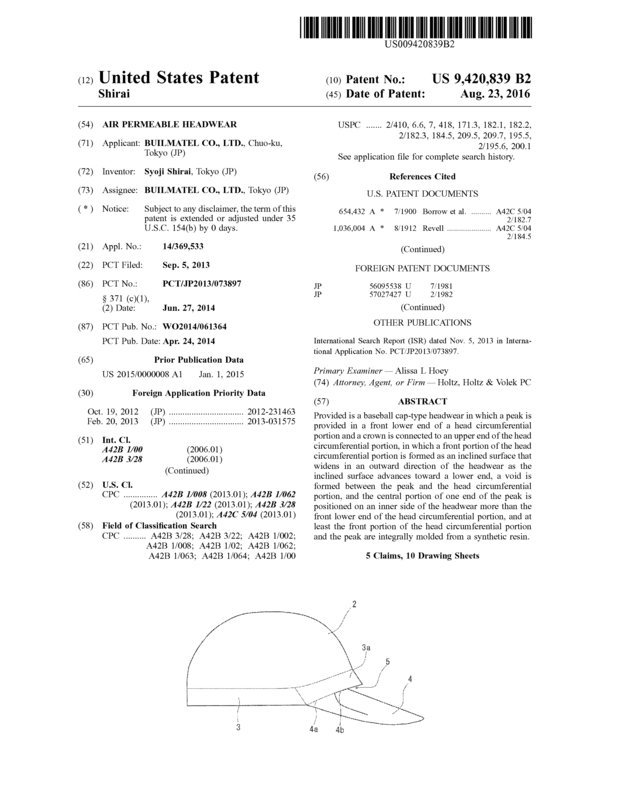 Page created at 2019-04-23 6:26:35, Patent Auction Time.